Being organized gives you back the freedom to do the things you love! We are excited to help you Simplify your Life to give you back the freedom to do the things you love! We are professional, supportive, confidential, and non-judgmental. No job is too big or too small- we will help you organize anything from your entire garage to a box of your child’s mementos. We are experienced in creating lifelong organizational systems for your home, office, or business to minimize the accumulation of clutter. This includes hauling away items for donation or recycle. Moving? We can help you prepare your home for staging by editing and packing your belongings, then when you move in, help you unpack and set up organizational systems to help you stay organized in your new home. Remodeling your space? We will help you pack up the space to be remodeled, and after it’s completed, help you put everything back in a neat and logical way creating easy-to-use systems to make the most out of your remodel. Contact us at 913-725-8151 to discuss your particular project. We will help you discover ways to optimize the functionality of your home or business in order to more fully enjoy these spaces. Consultation: We will discuss your organizing project with you and how you envision the use and ambiance of your space, and what your goals are to improve its function. You will receive a time and cost estimate for the project and schedule the start date. Editing: During this process, the goal is to de-clutter the space. With your help, we will sort through and decide what to keep, donate/sell or trash. Organizing: Now the fun begins! You are welcome to assist us during this phase as we transform your space into an organized, functional and peaceful place. The Big Reveal: Are you ready to see your new space? 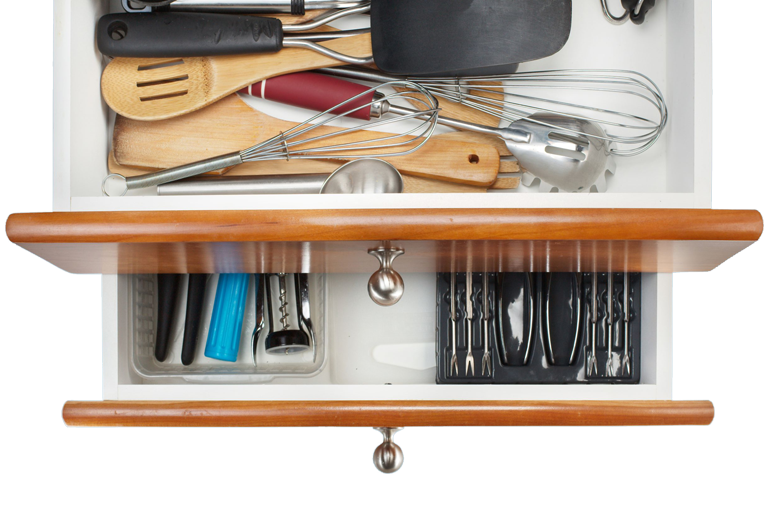 We will introduce you to this newly organized area of your life and give you personalized strategies on staying clutter-free.